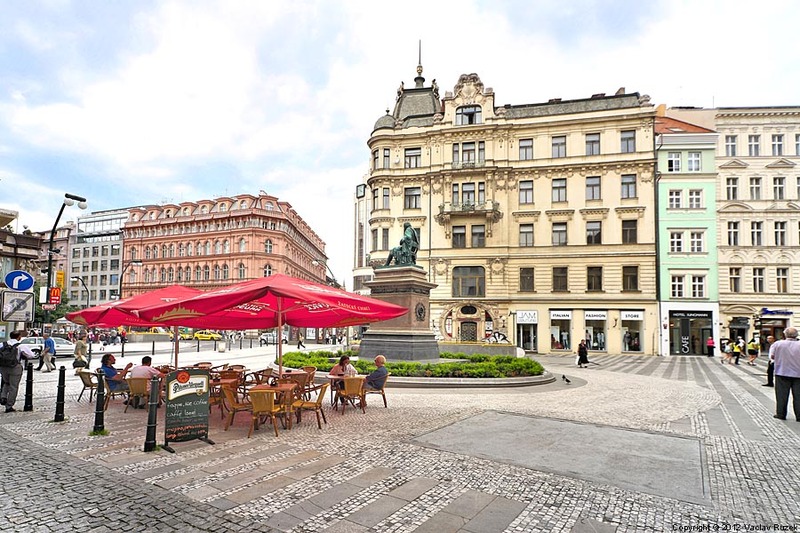 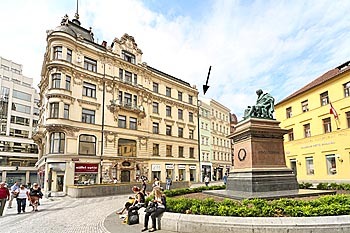 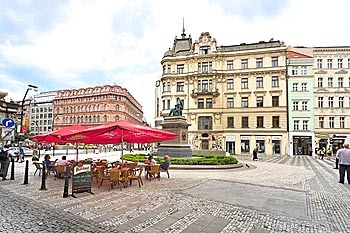 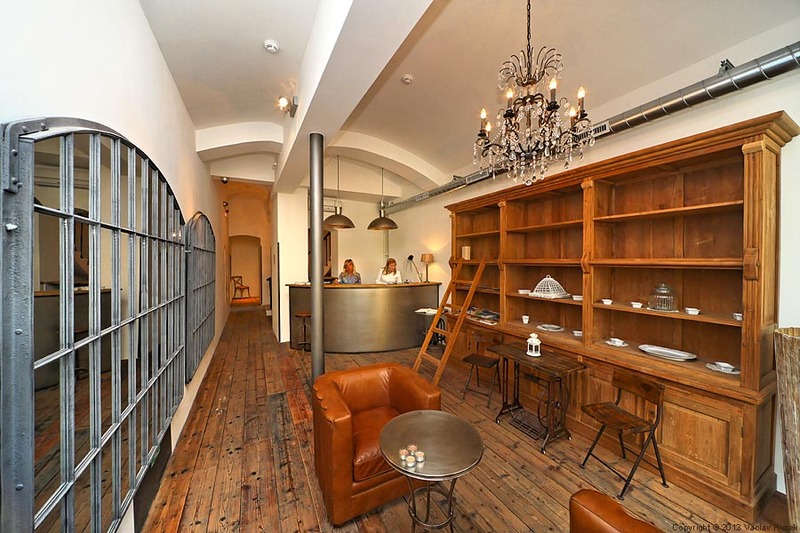 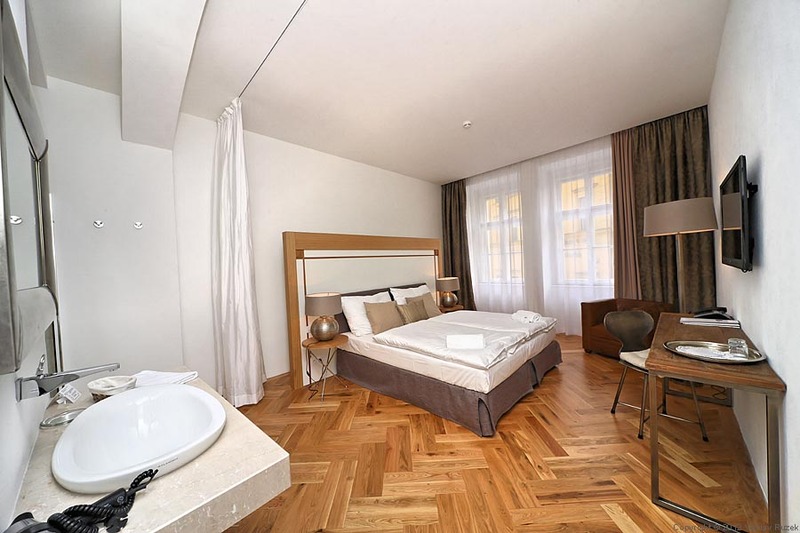 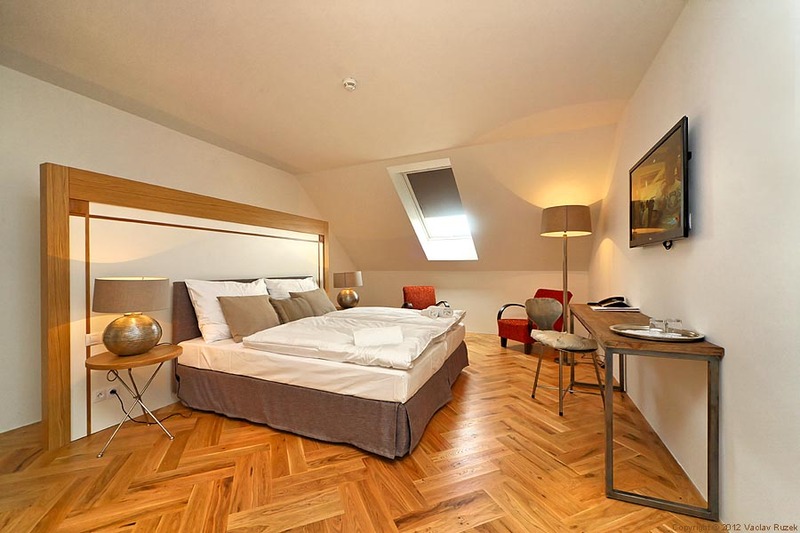 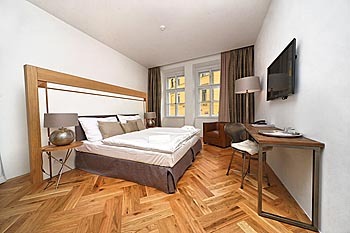 New hotel is situated at the place called „Golden Cross-Zlaty kriz“ which is an unique location right on the border between Old Town with its Old Town Square (5 minutes on foot) and New Town with its main Prague's boulevard - Wenceslas Square (just around the corner). 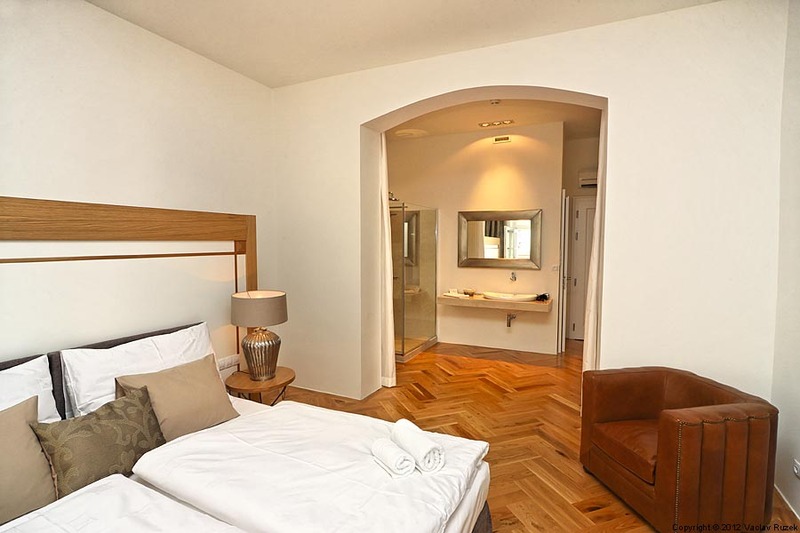 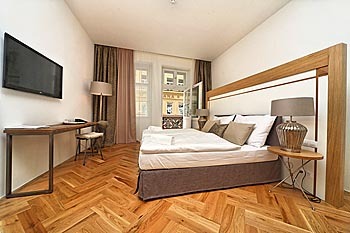 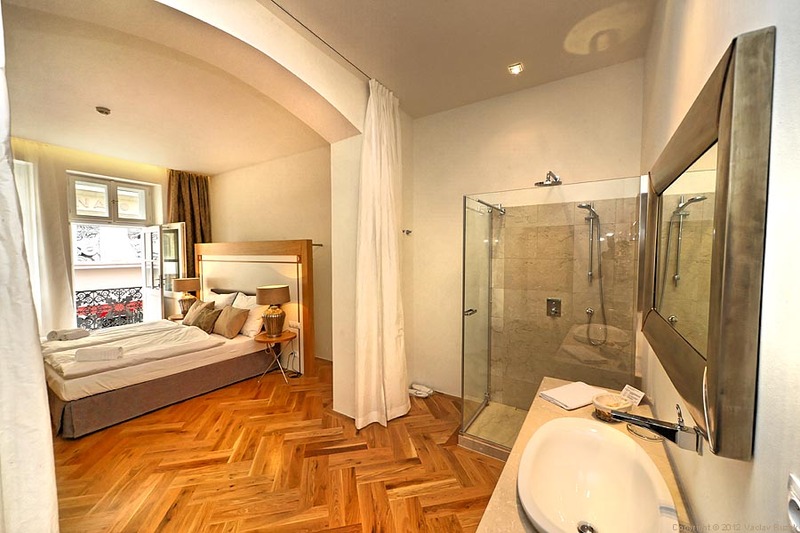 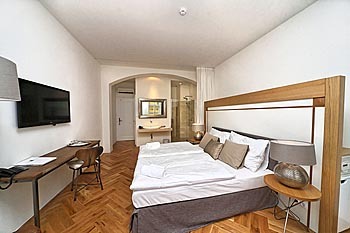 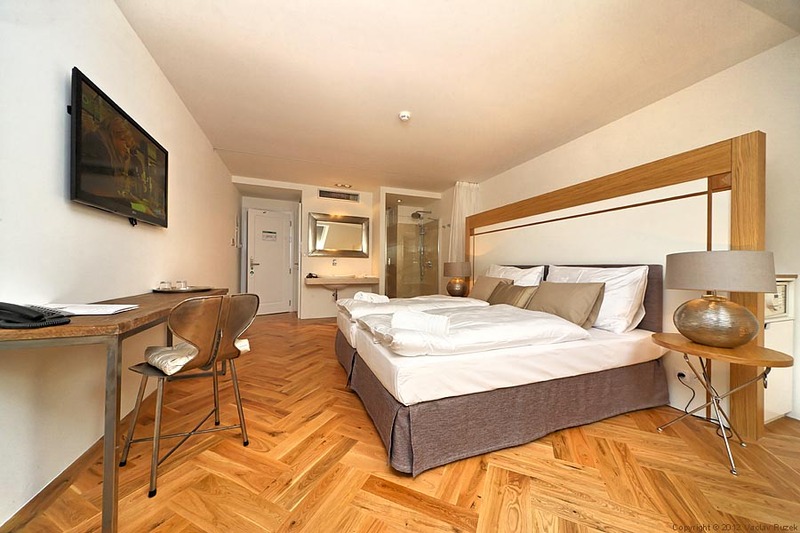 Hotel Jungmann reopened its door in May 2012 after a demanding complex reconstruction and nowadays offers 12 double rooms. 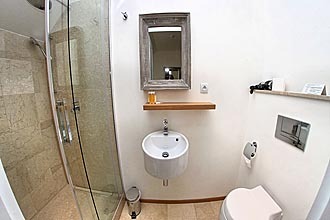 The main task of our designers was to create modern and comfortable relaxing enviroment to our guests. 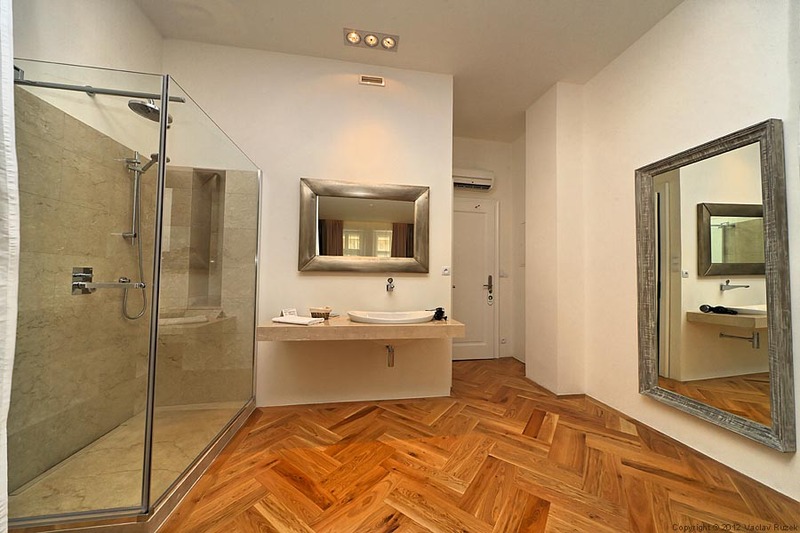 Part of this style are bathrooms integrated to the bedroom (with exception of the rooms in the 6th floor, which have classic separated bathrooms). 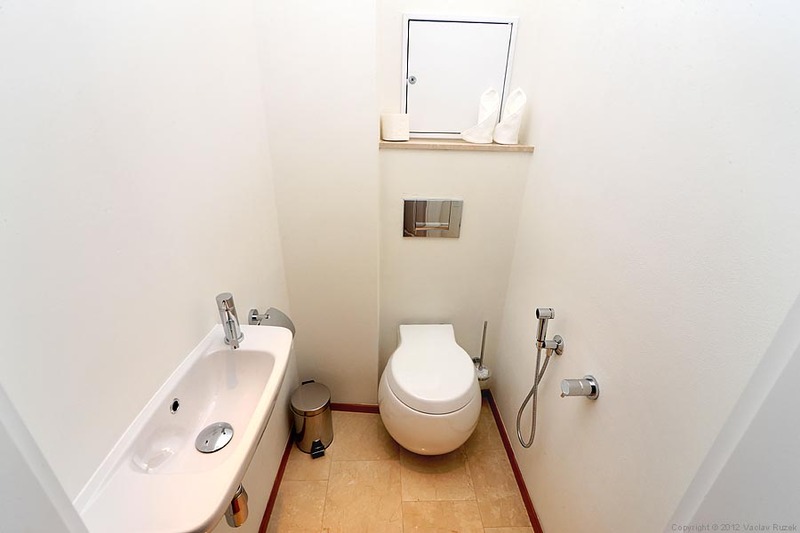 Toilet is, of course, separated in all rooms. 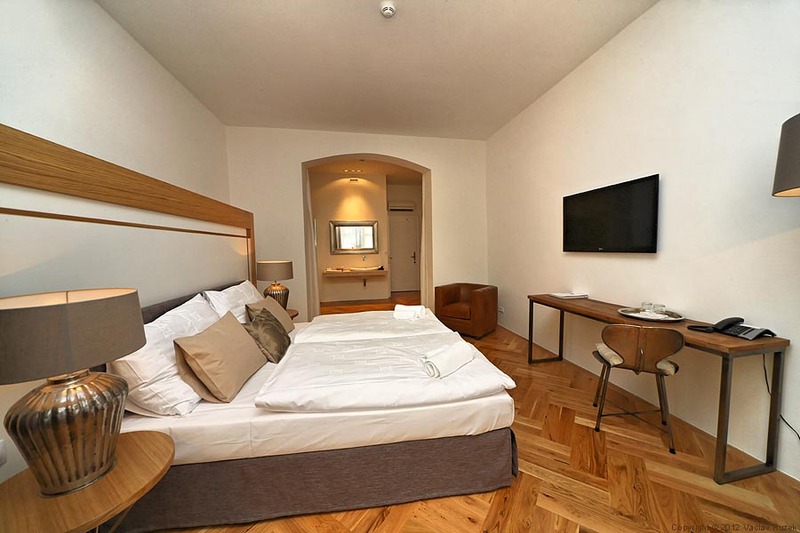 Each room is equipped with stylish furniture, air-conditioning, minibar, LCD TV with wide range of satelite TV channels, complimentary Wi-Fi internet connection, telephone, hair dryer and safe. 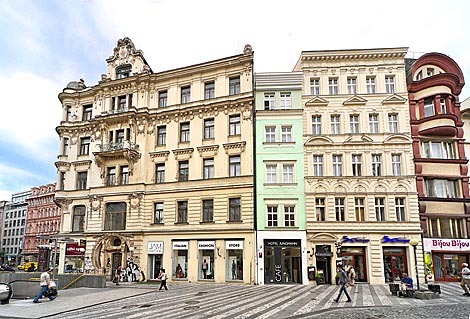 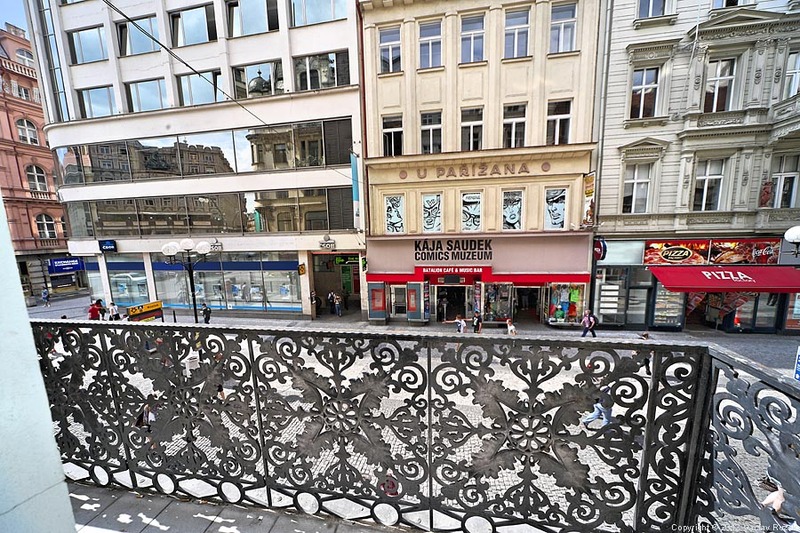 On each floor are located two rooms, one with view of the Jungmann Square and second with view of Mustek (street 28.rijna, which is part of the pedestrian zone on the Wenceslas Square). 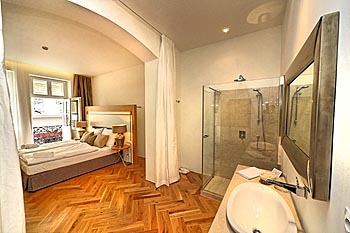 Its the only one room in the hotel with own balcony. 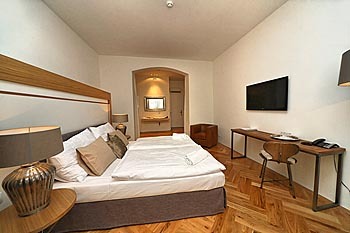 On the 5th floor are located also two rooms, with little skewed front wall. 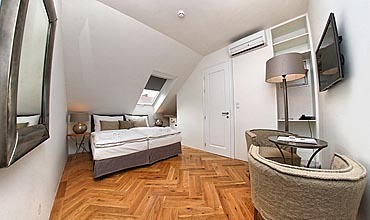 On the 6th floor are located two smaller attic rooms. 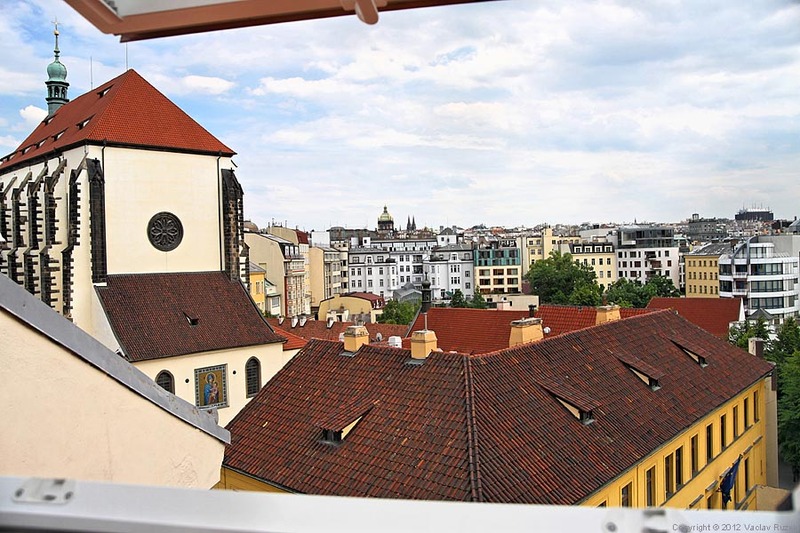 To these rooms belongs also a terrace on the roof of the building with amazing view of Prague and the neighbouring Church of Our Lady of the Snows (similar view has also the room no.612 from its window). 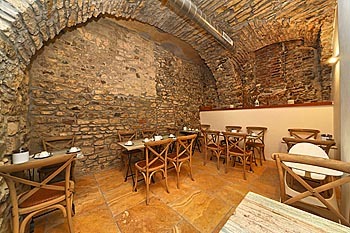 On the ground floor you can enjoy your coffee or refreshing drink in our Café all day long. 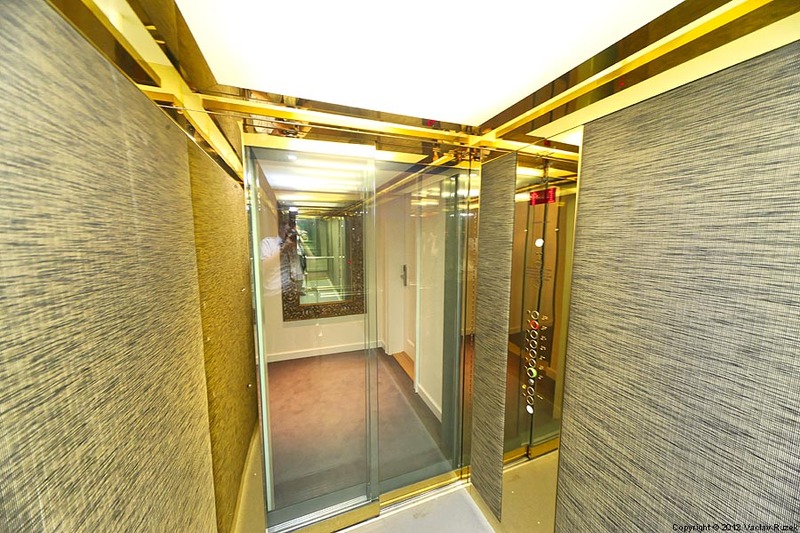 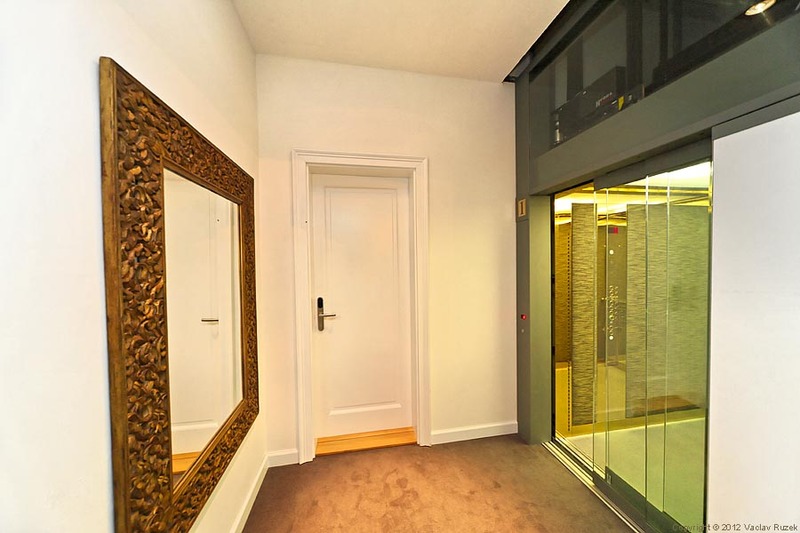 There is a spacious lift in the hotel which is going to all floors. 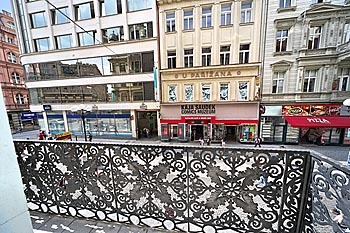 Car parking on request can be arranged in the nearby garages. 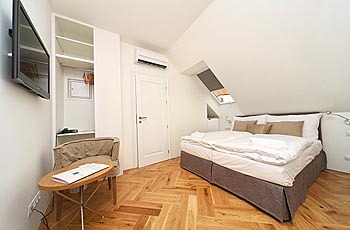 but do not include city tax 0,8,- EUR person/night. Children up to 6 years  free of charge.